My name is Kevin Floate. Back in 1985, I became a member of the Entomological Society of Canada (ESC) and found it to be a warm and supportive organization. I’ve since undertaken a number of roles, because I enjoy a challenge, but also because I believe that it is important to give back to the Society and the scientific discipline that has given so much to me during my career. I have served on the Society’s Governing Board and I have Chaired the Publication Committee and what is now the Marketing and Fund-raising Committee. I am a past-Editor of theESC Bulletin and have been a Subject Editor for The Canadian Entomologist (TCE) since 2002. In September of last year, I embarked on my most challenging role thus far, that of Editor-in-Chief (EiC) for TCE. I didn’t make the decision lightly. The journal has been continuously published since 1868 under the capable hands of a long-chain of EiCs and I wanted to be sure that I could devote the time to do a credible job. So for six months prior to saying ‘yes’, I job-shadowed the activities of the previous EiC, Chris Buddle. It also helps that I ‘inherited’ a strong Editorial Board and a very competent Assistant Editor (Andrew Smith). With their support, my first six months at the helm have been relatively smooth sailing. So what exactly does it mean to be the EiC? I’m coming to realize that it means several things. First, I’m the gate-keeper. TCE is an international journal that publishes on all aspects of entomology. We only ask that submissions meet the journal’s publication policy and that they be written well-enough to permit a thorough scientific review. I assess each new submission and reject those that don’t meet these criteria. Second, I represent the Editorial Board, who help shape the journal’s publication policy and ensure that manuscripts are reviewed by qualified individuals in a timely manner. I note that Board members (myself included) are all volunteers and receive no compensation for our efforts. Third, and equally important, I represent the authors, who have taken the time to develop and complete a project, write up the results and submit their findings. If we all do our jobs right, the outcome is a quality publication that enhances the entomological literature. And finally, I am the public face of the journal… the bull’s eye at which authors can aim their emails. Being EiC also means keeping up with changes in technology. Consider that the very first article published in TCE is a report of a luminous larva authored by C.J.S. Bethune. He would be amazed to learn that his article remains readily available 147 years later to journal subscribers across the world. He would be even more astounded to learn of downloadable PDFs, the internet, computers, and open-access electronic journals (e-journals). This latter topic is of particular interest to me, both as an author and as the EiC. If you haven’t educated yourself on the potential pitfalls associated with some of these journals, I urge you to read Open access, predatory publishers, The Canadian Entomologist, and you (Bulletin of the ESC, vol. 45 (3): 131-137). I co-authored this article as a way to understand why I was being inundated with spam emails from journals I’d never heard of, promising to quickly publish my next paper for a nominal fee. As part of my on-going education as an EiC in this brave new world of publishing, I’ve also become a regular reader of Retraction Watch and Beall’s Blog. With changes in technology, we also have improved our services for authors and subscribers. In 2012, TCE entered into a partnership with Cambridge University Press (CUP). CUP is the world’s oldest publishing house and, in keeping with the philosophy of the Society, is a not-for-profit organization. This new partnership has allowed us to drop the requirement for page charges, and papers now appear online as ‘First View’ articles prior to hardcopy publication. Last year, TCEadopted a hybrid open-access model to give authors the option of making their papers open-access upon payment of a one-time fee. These changes have increased the number of manuscript submissions, which has allowed us to expand our published content by ten percent as of this year. Quite frankly, I’d be swamped if it weren’t for the efforts of the Assistant Editor to ensure a high-quality standard of editing for all accepted manuscripts. Another feature of the journal that is often overlooked is that we accept proposals for review articles, special issues and supplemental issues. Special issues are papers with a common theme that appear in a regular issue of the journal. Supplemental issues are issues that are in addition to the normal six per year. This year is particularly exciting, because we have one of each. A special issue on Emerald Ash Borer will appear in the June issue. A supplemental issue on the history of forest entomology in Canada is being published later in 2015. Be sure to keep an eye open for these issues, and send me an email if you want to discuss ideas for potential reviews, special issues or supplemental issues. Other than EiC, what is it that I do as a researcher? My graduate research encompassed pests of wheat in northern Saskatchewan and gall-forming insects in riparian forests of Utah and Arizona. In 1993, I was hired by Agriculture and Agri-Food Canada to develop a biocontrol program for insect pests of livestock. Although I’m still with AAFC, my current research has expanded to include insect-symbiont interactions, insect-parasitoid interactions, the ecology of cow dung communities, the non-target effects of chemical residues, and use of molecular methods to barcode insects or characterize their bacterial associates. I worry a bit about being a “jack-of-all-trades, master-of-none”, but this breadth of experience has served me well in dealing with the large variety of submissions to the journal. Away from work and depending upon the season, you’ll find me hiking, curling, playing table tennis, reading, gardening and… of course… looking at bugs. I’m getting more comfortable in my position as EiC, but I’m not complacent about the job. It takes time to do it well and I promise to take that time to ensure your submissions are dealt with in a timely and respectful manner. If I don’t, you know where to aim your emails. Click here to read the first issue of 2015 for free. This article originally appeared on the Cambridge Journals Blog. Emerald Ash Borer (Agrilus planipennis). Credit: Debbie Miller USDA Forest Service, Bugwood.org. To mark the publication of the Emerald Ash Borer special issue from The Canadian Entomologist, guest editors Chris MacQuarrie and Krista Ryall from Natural Resources Canada have co-authored this blog post about the issue. In 2002, residents of Detroit, Michigan noticed something was killing their ash trees. Ash trees in North America are susceptible to some diseases that can result in decline and mortality, so a forest disease specialist was dispatched to investigate why these trees were dying. It was soon determined that the culprit was not a disease, but an insect: a shiny, metallic-green, buprestid beetle not previously known from Michigan, or anywhere else in North America. 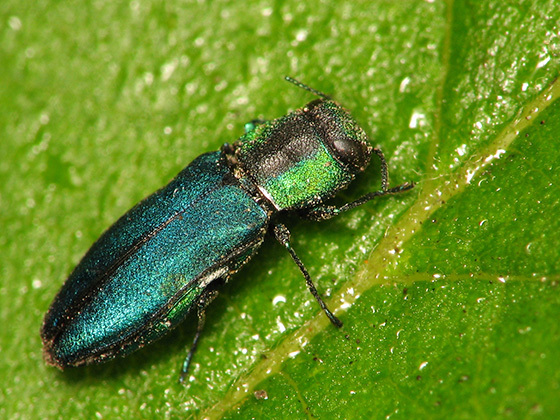 Authorities in Michigan notified their Canadian counterparts who soon discovered numerous ash trees dying in Windsor, Ontario from damage caused by the same beetle. Eventually, with the help of a European systematist the insect was determined to be the previously described (and previously rare) Agrilus planipennis. Today, this insect is better known by its common name: the emerald ash borer. To commemorate the discovery of emerald ash borer in North America, we organized a symposium and workshop at the 2013 Entomological Society of Canada’s and Ontario’s Joint Meeting in Guelph, Ontario. The timing and location of this workshop seemed appropriate because 2013 marked 10 years of research on the emerald ash borer and Guelph is located only a few 100 kilometres from where emerald ash borer was first found, and is now well within the insect’s Canadian range. Our goal with this symposium was to review the state of knowledge on emerald ash borer after ten years of research, and look ahead to the questions that researchers will be asking as the infestation continues to grow and spread. We were fortunate that many of the researchers who have contributed so much of what we know about emerald ash borer were able to participate. We were quite pleased with how well the symposium turned out. However, information presented in a symposium is ephemeral and fades away as soon as the last talk is over. To prevent this, we imposed upon our presenters to also prepare written versions of their presentations. It took some time, but now these papers are all complete, and have been put together to form a special issue of The Canadian Entomologist dedicated to the emerald ash borer. The Emerald Ash Borer special issue is the free sample issue of The Canadian Entomologist for 2015. Access the special issue for free until 1st January 2016 here. The Editor’s pick from the Feburary issue of The Canadian Entomologist is Crowdsourcing for large-scale mosquito (Diptera: Culicidae) sampling by Elin C. Maki and Lee W. Cohnstaedt. In this blog Lee Cohnstaedt reveals more about the research. “We were inspired to carry out this study to find out the origin and historical geographic spread of the disease vector mosquito species Culex tarsalis and Aedes vexans. By collecting throughout the entire mosquito habitat range, we generated a snap-shot in time of the distribution of mosquito genes. However, collecting mosquitoes throughout the continental United States was not feasible for one lab. Therefore we used social networking and crowdsourcing to solicit specimens from public health officials, mosquito control experts, and citizen scientists. The response was incredible. Image courtesy of Sarah Edwards. We hope a lasting impact of this project beyond advancing public health safety for humans and food security for agriculture, is demonstrating the importance and unique capabilities of the public health and mosquito control infrastructure in the United States. These agencies continually face budget cuts because their importance is undervalued. In addition to their public health roles, they contribute substantially to research which is an underappreciated role at improving public safety. This large-scale project would not be possible without the agencies volunteering their time, energy, and expertise. These agencies and individuals contributed to an unprecedented mosquito collection on a continental scale and we feel the North American Mosquito Project will continue to ask big questions with the help of network contributors in the future. 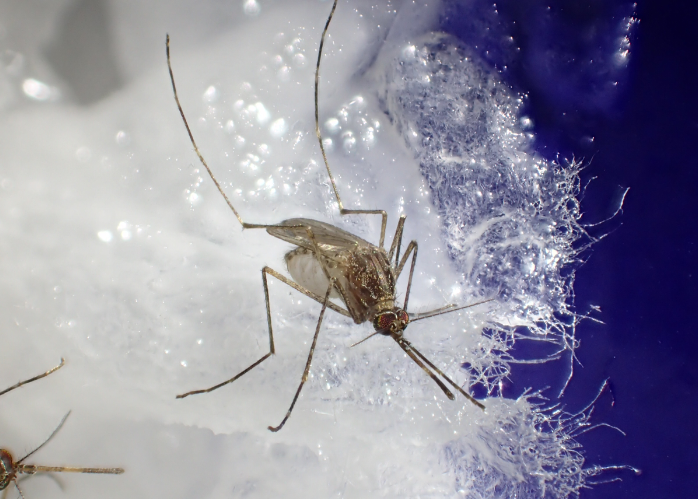 This research will lead to the mosquitos being used for three projects: First, the mosquito samples will be processed for population genetic and phylogenetic analysis to determine mosquito migration currently and historical spread. Second, the movement data from the genetics will be used to parameterize mathematical models to predict the spread of mosquito-borne exotic or emerging pathogens. This will improve public health safety and food security an important role of the agencies that contributed mosquitoes. 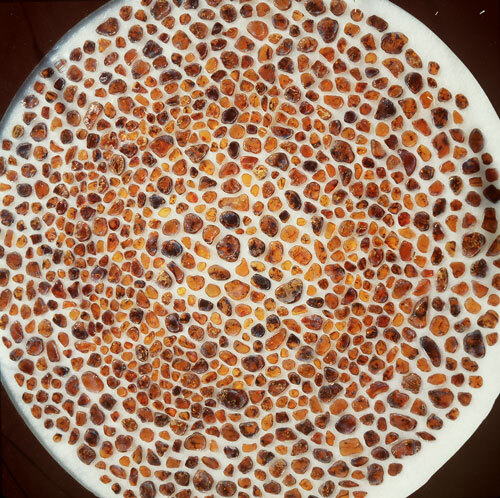 Third, specific genes unique to certain populations (private alleles) will be examined to understand their role in range expansion. Read the full article here until 22nd May 2015. Christmas has come and gone and it is now closing in on the end of 2014. Most of us are busy with family and friends, and although winter seems to be spotty across the country (it is plus 3 oC in Prince George as I write this), our insect friends are mostly hibernating – at least those that don’t share our homes (like the pesky fruit flies and other small flies from my wife’s indoor worm compost I am constantly batting!) It is much more than just the end of another year for the Entomological Society of Canada, however. Over the past few years, largely in response to an increasingly challenging fiscal environment, the ESC is continuing the transitioning into a new era. Many of our colleagues have put in a lot of their time to make this happen, and I want to highlight a few of them here. The transition started in 2011 with the move of The Canadian Entomologist from NRC Press to Cambridge University Press. This should restore TCE to its former glory, because we no longer have page charges, and colour plates are also free of charge. The hard work of former Editors-in-Chief Robb Bennett and Chris Buddle, as well as current EiC Kevin Floate and the Publications Committee made this move possible. Another big change has been our transition to the new Canada Not-for-profit Corporations Act. I want to thank Alec McClay, whose diligence alerted us to the requirement for transitioning in a timely manner. Thanks to the invaluable help from the painstaking and detailed work by Gary Gibson and Bill Riel the ESC made a smooth transition and has been operating under this legislation for some time now. As is often the case, there are unforeseen complications with these types of bureaucratic exercises, and one of them is that we have to change the end of our fiscal year to be in compliance with the legislation. The change that will be most tangible for members happened this fall. At the Annual General Meeting of the ESC on September 30, 2014, in Saskatoon, attending members voted unanimously in favour of contracting office and some other services to Strauss Event & Association Management. After negotiating terms, a contract was signed at the end of October, and as members of the ESC have already noted, communication with members is now handled by Strauss on behalf of the ESC. This means that we are no longer located in Ottawa, but in Winnipeg. Over the next few months, you will see some tangible evidence of the move. It is important that we get your feedback to refine some of the new features that will be available to us. A major consequence of the change is that the headquarters building in Ottawa will be sold, which will provide some much needed capital to help us get through potential rough patches in the future. It also means that Derna Lisi, ESC’s office manager for the past eight plus years, has moved on to another job, so when you contact the ESC from now on, your first point of contact will be our partners at Strauss. In addition to the executives of the past few years (including Peter Mason, Michel Cusson, Rose DeClerck-Floate, and Rebecca Hallett), Bernie Roitberg, Scott Brooks, and Christopher Dufault among others have been instrumental in moving these issues along, and we owe them all a debt of gratitude for their efforts. We are looking forward to continuing the traditions of the ESC into the next era, but we also hope that we can strengthen ESC. That can only be done with help from members. You can do your part by remaining a member, encouraging non-member colleagues to join, participating in meetings at the regional and national level, and volunteering for service on one of the many committees or even as a member on the Governing Board. I wish you all a wonderful 2015. The Editorial Board of The Canadian Entomologist (TCE) welcomes the comments that we receive from readers and authors. We take these comments seriously and implement appropriate changes when possible. We are pleased to announce three such changes that will further improve the speed, quality and flexibility of the service provided by TCE. Simplified submission requirement. Authors previously were required to submit papers with abstracts in both French and in English. Although they can still do so, authors now need only submit an abstract in the language of the submitted paper; i.e., French or English. This change eliminates delays associated with having abstracts translated, which will accelerate manuscript publication. New open access option. Although TCE has no page charges, there has always been a subscription fee. As of 2014, authors now have the option of paying a one-time open access (OA) fee. Payment of the OA fee makes articles freely available as soon as they are published online to anyone with internet access. More content. Elimination of page charges has increased submissions to the journal, with a consequence increase in the number of papers being accepted for publication. In response, TCE is expanding its content by 10%. This equates to an annual increase of 72 pages, or approximately 1-2 additional papers per issue. In addition to the above changes, there are several other items that may be of interest. ‘Instructions to Authors’ were revised in March of this year. Revisions include instructions for the submission of ‘Supplementary Material’ and a link to third-party services that specialize in language editing. You also may wish to read “Open access, predatory publishers, The Canadian Entomologist, and you”. This article appears in the Bulletin of the ESC (Sept. 2013, p. 131), and examines issues that should be interest to anyone publishing in scientific journals. In closing, we note that Dr. Chris Buddle (McGill University, Montreal, QC) will be completing his tenure as Editor-in-Chief this fall. 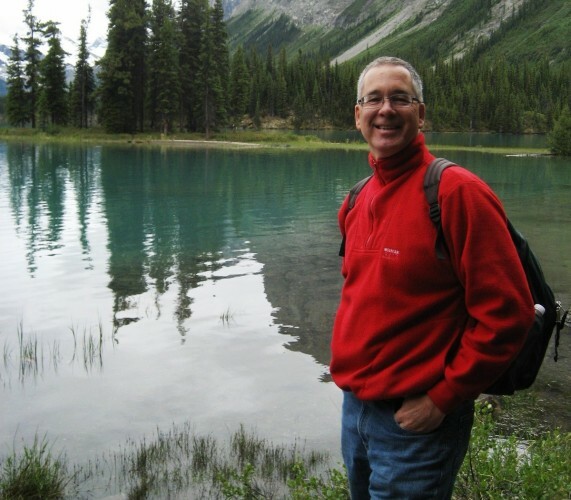 Dr. Kevin Floate (Agriculture and Agri-Food Canada, Lethbridge, AB) is the incoming Editor-in-Chief. We thank you, the authors and readers, for making TCE an ongoing success. This Issue’s Editor’s pick for The Canadian Entomologist is Staffan Lindgren and Ken Raffa’s paper, titled “Evolution of tree killing in bark beetles: trade-offs between the maddening crowds and a sticky situation”. This is a key review paper that provides comprehensive and in-depth coverage of a critically important topic, especially for forest entomology in North America. Bark beetles are often in the news because of the economic consequences of their population increases as we have seen in recent years. Behind this, however, are fascinating life history traits and a story about their tree killing habits. This is where the paper by Staffan and Ken comes into play. These two exceptional scientists have decades of experience on the topic of tree killing in bark beetles, and they bring this expertise forward with this paper. Q1: What inspired this work? The scientific inspiration came from many years of reading about and studying these amazing insects. Over time, it became clear that “aggressiveness” is a relative term with respect to tree-killing beetles, because they generally appear to be very poor competitors. The same also seemed to be the case with tree-killing root diseases, so a pattern of trade-offs became apparent. Given the potent defensive capability of most conifers, the question naturally arose “why would a beetle risk its life attacking a live tree rather than utilizing a dead or dying tree?” It seemed that the answer had to be linked to trade-offs between the selection pressures exerted by competitors and host tree defenses. The inspiration to write these ideas up evolved through many years of developing a friendship with each other, and we tossed the idea around in a number of discussions we had. The opportunity to act came when the former editor of TCE, Robb Bennett, extended an invitation to submit an article as a CP Alexander Review. Q2: What do you hope will be the lasting impact of this paper? Q3: Where will your next line of research on this topic take you? We are working with another great friend of ours, Jean-Claude Grégoire, on two chapters in an upcoming book about bark beetles, so there may be some other ideas emerging from that collaboration. Q4: Any amusing / interesting anecdotes about this research? (from Staffan): From my perspective one of the most amusing things is that I can claim the unique experience of having Ken Raffa as a nurse. He is very good at that too, as it happens! The last time I visited him in Madison to work on this paper, I caught a bad cold. So we worked from home that week, with me intermittently resting and writing. It was embarrassing at the time, but now I find it rather amusing. Cambridge University Press has made Staffan & Ken’s paper freely available worldwide until November 30 for being recognized as the Editor’s Pick. Thanks CUPress! It’s with great pleasure that I announce my pick for the latest issue of The Canadian Entomologist. 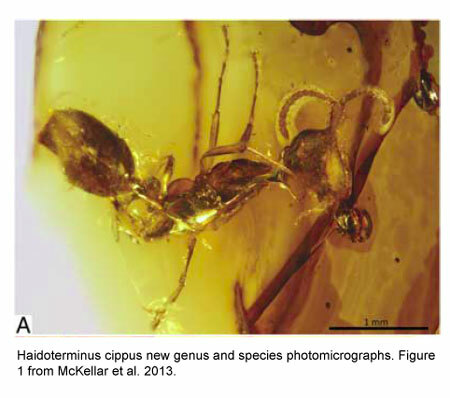 Ryan McKellar and colleagues wrote a paper on a new trap-jawed ant from Canadian late Cretaceous amber (freely available during September). As they write in the Abstract, the new species “….expands the distribution of the bizarre, exclusively Cretaceous, trap-jawed Haidomyrmecini beyond their previous records…”. They truly are bizarre! Facial structures right out of a sci-fi movie! When reading the paper, I was also surprised that the fossil record for the Formicidae is sparse during the Cretaceous. I asked the lead author a few questions about this work, and am pleased to share the responses with you. It’s truly exciting research, and I am thrilled that the pages of TCE include systematics from amber. This work stirs the imagination, and takes us all back in time. 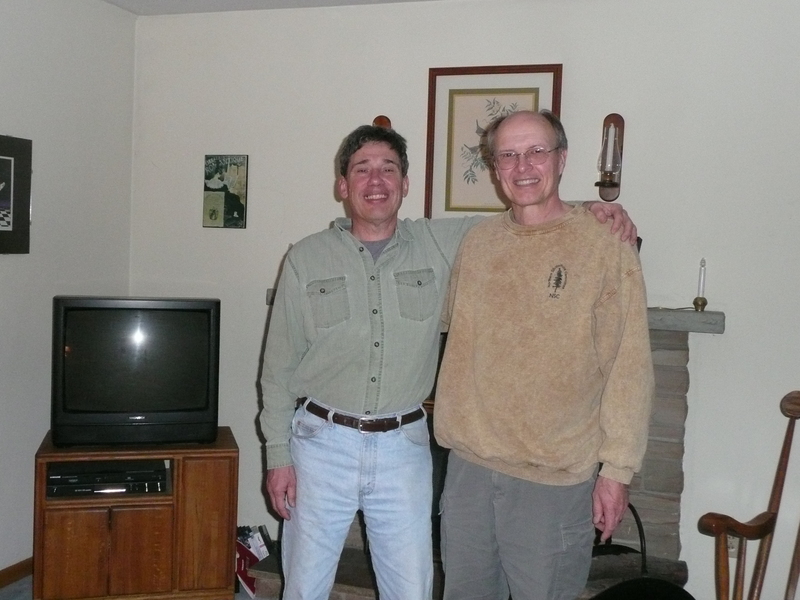 My interest in the Canadian amber assemblage really began when Brian Chatterton (then my M.Sc. supervisor) showed me some of the slides that he had borrowed from the Royal Tyrrell Museum of Paleontology in order to write a book on Canadian palaeontology. 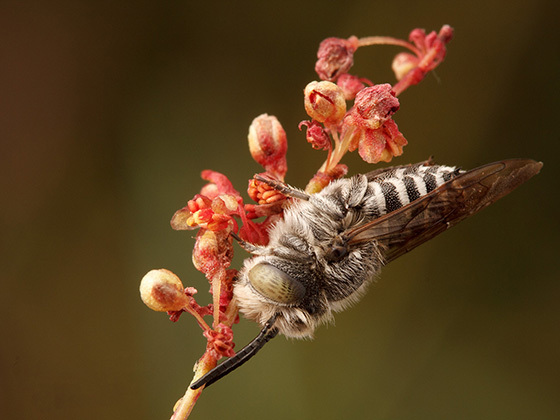 The sample set contained insects with bizarre adaptations for life at low Reynolds numbers, and obvious ecological associations, spurring an interest that ultimately led to a research in parasitic microhymenoptera. Michael Engel subsequently introduced me to a much wider array of taxa, and we continue to explore the Canadian assemblage together and with the help of colleagues. What do you hope will be the lasting impact of this paper? New records, such as this trap-jawed ant, help to flesh out our picture of the amber-producing forest and its inhabitants. I hope that a comprehensive account of this assemblage will eventually provide insights into terrestrial conditions that are unavailable from other fossil types, and that this will shed some light on changes in diversity and conditions leading up to the end-Cretaceous mass extinction. Where will your next line of research on this topic take you? With any luck, we will be able to complete our coverage of Hymenoptera in Canadian amber soon, and make more of a concerted effort to cover other insect orders and some of the ecological associations found within the deposit. Grassy Lake amber still has a lot to offer, but it is only one of western Canada’s many amber deposits. As a larger-scale project, we are currently part of a team examining the numerous fragile ambers associated with coals in the region. The goal of this research is to create an amber-based record of forest types and inhabitants that spans more than 10 million years within the Late Cretaceous and Paleocene. Can you share any interesting anecdotes from this research? Surface-collecting amber can be quite difficult, because unpolished Canadian amber typically has a matte orange-brown colour, and is often covered with a carbon film or weathering crust. If there is no fractured surface visible and the specimen is not translucent, it can be quite difficult to distinguish from the surrounding coal or shale. Furthermore, there is such a range of shapes and sizes that some of the smaller amber droplets are easily confused with modern seeds. One of the quickest ways to see if you are dealing with amber is to wet the specimen and look for amber’s characteristic lustre, or tap the specimen on your teeth (amber feels like plastic compared to most suspect rocks). Naturally, I have licked quite a few samples in the course of my collecting, and have lost a lot of my appreciation for rabbits. Thanks to Cambridge Journals Online for making this month’s Editor’s Pick Freely Available for the month of September! This post is a regular series highlighting great papers from the pages of the Canadian Entomologist. ESC Photo Contest Deadline Extended. The July 31 deadline for the 9th Annual ESC Photo Contest (http://esc-sec.ca/photocontest.php) has been extended to August 15, 2013. Polish up your macro lenses and put on your flash diffusers, or dig through your recent photo files, and make a submission! Submission rules are on the website. Submissions will be posted to the website, and winning entries will grace the covers of The Canadian Entomologist and the ESC Bulletin for all of 2014. Date limite pour le concours de photo de la SEC reportée. La date limite du 31 juillet pour le 9e concours annuel de photo de la SEC (http://esc-sec.ca/f-photocontest.php) a été reportée au 15 août 2013. Polissez vos objectifs macro et installez vos diffuseurs de flash, ou fouillez dans vos récents fichiers de photos et faites une soumission! Les règlements de soumission sont sur le site Internet. Les soumissions seront affichées sur le site Internet, et les photos gagnantes orneront la couverture de The Canadian Entomologist et du Bulletin de la SEC pour l’année 2014.